I know that the winter has dragged on and on! But soon the spring will be here and all the junk that has accumulated in the corner and in the basement needs to get out! It is easy to allow junk to gather around you, it is easy to say that I will get rid of it later but then all of the sudden you are surrounded by trash, so please let us know if we can help haul that junk away. We have been working hard this winter to keep the city of DC clean, we have been working in the cold gathering and disposing of junk, but now that the warm weather is on the horizon, we know that more and more people will be looking to cleat their spaces of unwanted items such as cribs, hot tubs, concrete, old furniture, desks, and other odds and ends that need to be removed. We are here as we have always been 7 days a week to remove that junk, we provide the labor and the dump fee. We work from 6:00AM- 7:00PM., we show up and you point to the junk that you want removed and allow us to do our job, there is never no hassle on the quote, we stick to what we quote, if we show up and something is not right, then you just say that you are good and we will go away, but that never is never something that happens with us. We stick to our prices which are the most competitive in the industry! 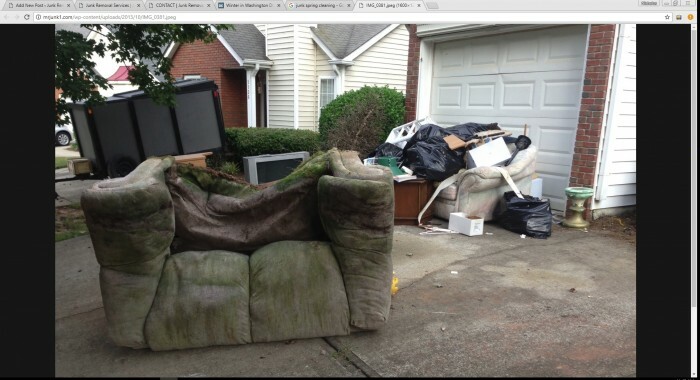 Call (202) 875-8196 for your junk removal quote.